The Storm is here… you will never forget it. Let’s begin with the last bang of "Bang!". The last outstanding bullet of a series of cool songs. The Storm (music & lyrics by V.O. Pulver) is erupting uptempo/mid "Panzer"-Thrash (with a trace of death and metalcore) that chews immediately the bones and makes you bang your body without rest, even during the doomy and sinister outro. It’s the last track of the album. The latest album from the Swiss Thrash Titans GurD. Not bad to start speaking about the final song when it's a song that kills as ultimate accomplishment. The Storm is one of all those tracks that give you all what you need as Metaller, moreover it makes us appreciate once again that intelligent and tanky battleship that GurD, captained by Mr. V.O. Pulver, have always been. In 2004 GurD celebrated 10 years of career , sealed "in credo" by the masterpiece cd + dvd “10 Years of Addiction” released by N-Gage Records in 2005. 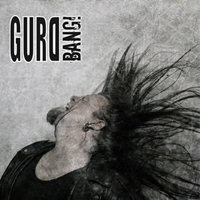 Also in 2005, GurD integrated the new guitarist Pat and began a path that brought to us, in July/August 2006, this album "Bang! ", released through the German Dockyard1. For me, "Bang!" represents one of the best productions of 2006 and one of the albums I listened to the most. Thanks to The Storm and to the Black Sabbath cover (figure out, told by me!) Children of the Grave (with André Grieder at the microphone – see also GurD live at Z7 Metal Dayz 06- ) , and thanks to Black Money, to Break the Ban, to Seducer, the five jewels the shine among cool tracks. Actually, in these five songs the power expressed by the rhythmic session is irresistible and the musical construction is optimal..
All in all, is there anything new or different in "Bang!"? Oh yes. Like all great bands that remain faithful to themselves, yet try to propose something different in each release, GurD make no exception , mixing their typical massive style with a kind of new anger and a fresh aim to rock a lot. And there is more: here and there even a certain sinister and/or dark touch appears, unpredictable and strong, together with a slight guitar experimentation. The compelling and clawing Break the Ban is made by all these ingredients, while the short ambience-instrumental Prelude introduces The Storm through beautiful sorrowful guitar arpeggios and menacing thunders. In "Bang!" vocals are extremely elastic adding more "facettes" to the already known force. The bass lines are the boiling blood and the striking hammer of the band, propelled by a precise drum-sustain. That bass that becomes then also undisputable king in the brilliant track Seducer (what chords and scales in Seducer! they drive you crazy!). Seducer so pleasantly nervous, warm, hammering and groovy. Concerning the rhythmic and lead guitars, the muscles given by the rhythmic assaults strike hard in pure metallic bulldozer vein, while the lead cuts deep during the sparkling solos. Result is that GurD never stop to spread powerful formulas evolving towards new horizons of imposing yet modern and agile and surely darker and more evil strength. The titletrack Bang! and Like a Man show the same anger of newer Metallica (St. Anger) but a different more solid composition- empowerment and with a different tuning. Spirit of Rock combines that classic "rock raid" feeling with thrashy heaviness. Black Money is another peak that rips off with titanic heaviness and melodic (even a bit industrial ?) entrapment (noticeable the screams). Only one flaw, in my opinion, : the fast super thrashy opener The great Deception that, strangely, doesn't provide the best Gurd’s qualities in puncto composition (although the bridge is really first quality); in this case, thousand times better Wish more rock’n roll oriented. "Bang!" is GurD up-to-dated in the new century. Ready for the American market too. ..."the storm is here"… you will never forget it.